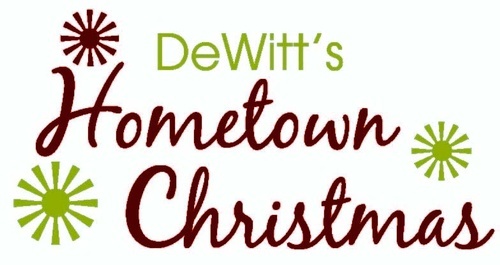 DeWitt's Hometown Christmas is a free event to the public. Come spend the day in DeWitt and get into the Christmas spirit!! 9:00-10:30AM Santa arrives via firetruck at 9AM to the American Legion Post 238 (firetruck will starting at the DeWitt Police Dept. going south down 6th Ave then to the Legion building) to visit with children and listen to their wish lists. Also enjoy carnival games. Visits with Santa are FREE - but we ask that you bring a non-perishable food item to donate to the DeWitt Referral Center. 9:00-11:00 Donuts, make-it and take-it craft tables and carnival prizes (donated by the Noon Lions) at the DeWitt Community Center (512 10th St.). 11:15AM Doors will open and a free hot-dog lunch will be available (sponsored by the DeWitt Nite Lions) before the movie. 11:45AM Polar Express will be shown (pajamas welcome). *For safety purposes, children must be escorted to and from the movie if the parent/guardian is not attending. Entrance into the movie and lunch are based on a first-come first-served basis, space and quantities are limited. 5:00-7:00PM Live Holiday Windows, Gingerbread House Contest, Elf on the Shelf Contest, Warming Station and Caroling in the Downtown area (6th Ave and side streets). Click here to get the Gingerbread Contest Registration Form! Check out Facebook photos from last year's Hometown Christmas! Thank you to our Mistletoe Sponsors! Most of the event is FREE! !